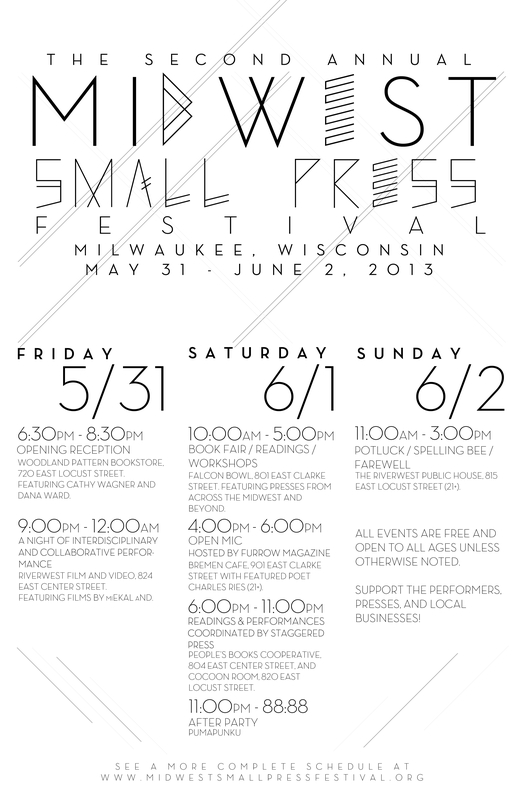 Horse Less Press will be at the Midwest Small Press Festival in Milwaukee this weekend! We’ll have a table at the bookfair, and – with Projective Industries – we will be hosting a reading on Saturday night at 8 pm at the Cocoon Room, featuring Stephanie Anderson, Laura Goldstein, Mary Hickman, Daniela Olszewska, Jen Tynes, and Michael Sikkema. We’d love to see you there!